I’m usually not the type of girl who completely changes her entire wardrobe when a new season begins, not even living in a country where climatic changes actually occur. And the same goes to accessories or fashion in general. But I have to admit that this spring, besides being overly enthusiastic about higher temperatures, I’ve been eyeing the best bags to wear during these next months exclusively. The bucket bag has been trending since the beginning of the year, and clearly, everyone’s following it. Of course, I plead guilty. There are a lot of things I love about this kind of bag, being comfort and beautiful aesthetic on the top of the list. I don’t if it’s just me, but my most comfortable and spacious bags aren’t as pretty as the ones less practical, so having both advantages in one gave me a reason to splurge. 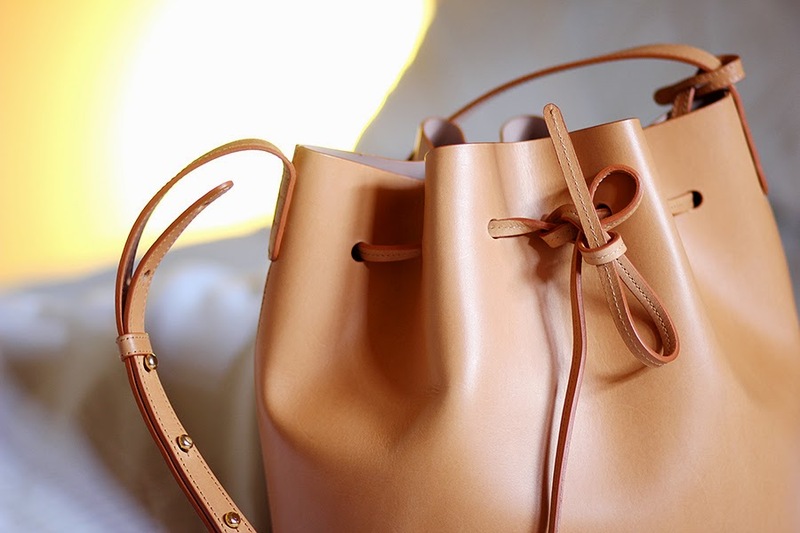 The Mansur Gavriel is reference for the perfect bucket bag, and it’s no coincidence it’s currently out of stock. The fabric, colors, space, practicality… everything about it can be perfectly combined with an entire spring closet, and for all four seasons, for that matter. But focusing on this next season, there’s no other bag I’m laying my hands (and eyes) on. Which bag will you be wearing all season long? Images from Fake Leather, The Working Girl, Luella June.